Make Dock Repairs: Does your dock need some TLC? It’s vital that you make needed repairs before your home goes on the market. Nothing turns away prospective buyers quicker than the thought of needing to make repairs immediately after making a purchase. Focus on the Waterfront: In a traditional home sale, it’s important to stage the inside of the house. In a waterfront home sale, it’s important to stage the waterfront area. Take time to landscape and plant around the waterfront. Place canoes or other recreational items near the water to suggest activities that can be done at the waterfront. This is what your buyers came for, so take advantage of it. Make the Most of Your View: Your buyers want to be able to look at the water, so do everything you can to make sure they have that opportunity. Pull back curtains, open shutters, wash windows and remove lamps and other décor that blocks views. It’s essential that you give your visitors the view they want. Price It Right: Move your home as quickly as possible with strategic pricing. Many buyers of waterfront property are considering it as a second home. Understand this dynamic and choose the price that’s going to appeal most to your market while also helping you maximize your investment. Choose Pre-Inspection: Get an inspection before your property goes on the market. This will help you be as informed as possible when prospective buyers are asking questions and making inquiries, and it will also help you avoid any surprises when it comes time to move toward a close date. Wow Buyers With Quality Photos and Video: It’s always a good idea to go big with photos and videos, no matter what type of property you’re selling. But this is especially true when you’re trying to sell something that’s considered a luxury purchase — something like a waterfront property. Make sure you invest properly in getting quality photos and video of your property. Consider Auctioning: Auctions are known to move homes quickly, and they often feature lower associated costs for the seller. 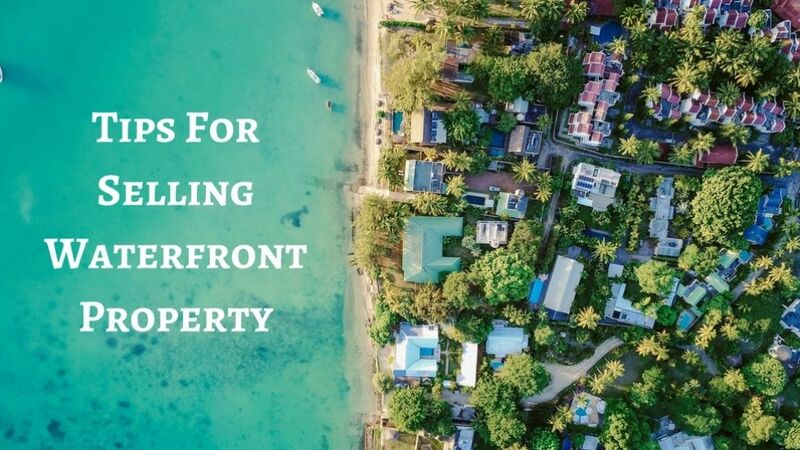 If you haven’t considered auctioning your beach front real estate or lake house, take a look before making a final decision. At Fornta Auctioneers, we work each day with the owners of waterfront properties to sell their homes and make the best possible return on investment. We can walk you through the auction process and describe the benefits — and we can also make recommendations on whether or not an auction is right for you and your home. Contact us today about auctioning beachfront real estate, lake houses and other waterfront property.